How to Tell Toledo from the Night Sky by Lydia Netzer is one of the most quirky, wonderful books I’ve read. The magical realism story mixes beautiful writing with fun-loving characters who you’ll definitely root for. Also, science! Never thought I’d find science that interesting, but Lydia Netzer makes it so. Imagine being planned, created, then bred for another person. George and Irene were created for one another, but their story goes a little awry along the way and you’ll just be hoping and wishing they work out. The scene where George sees Irene for “the first time” made me smile and giggle SO HARD! Those two had that effect on me a lot in this book. Their mothers were a different story though. They caused my heart several twinges of pain throughout the story. It was heartbreaking, but I loved being able to see how this plan was hatched. The glimpses into their past gave the story a solid foundation and even made me wonder if a lot of the things they did could be real. I can already tell this book will make an appearance on my End of Year post, and I can guarantee I’ll be recommending it A LOT! I think people who like Sarah Addison Allen’s books should definitely try Lydia Netzer. I can’t wait for you guys to experience this little gem! Want to see what the knitted black holes look like?? Check out THIS POST on Lydia’s blog that includes a video! They’re ADORABLE! Check out these videos of Lydia Netzer discussing How to Tell Toledo from the Night Sky! I know some of my friends do love their audiobooks, so if it will help you pick this up sooner, do it on audio! Lydia Netzer lives in Virginia with her two children and husband. Her first novel, Shine Shine Shine, was published by St. Martin’s Press. It’s an IndieNext Pick, a SIBA Okra Pick, a finalist for the LA Times Book Prize, Amazon’s Spotlight Book in Best Books of July 2012, a People’s Pick in People Magazine, and a NYT Notable Book. Her new novel, How to Tell Toledo From the Night Sky, will be published by St. Martin’s Press in July 2014. SCIENCE! It sounds like a wonderful story, too. This showed up in my mailbox by surprise and I’m really excited to read it now after reading your review! I can always do with more magical realism. 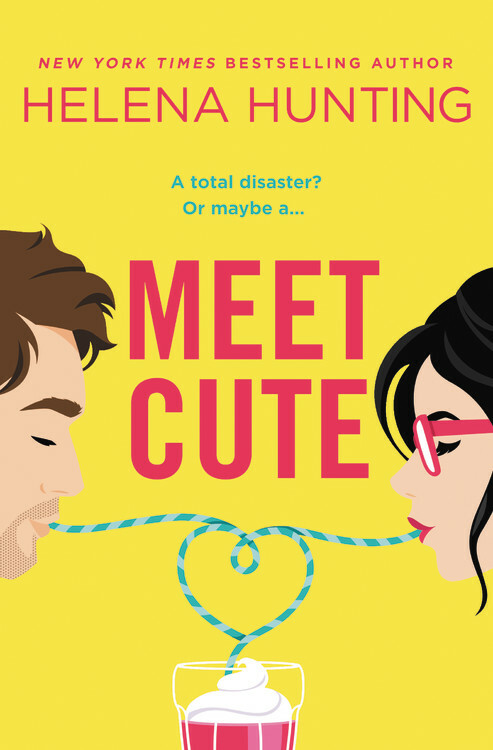 I love love love love love quirky reads! Thanks for the giveaway, Jess! Sounds awesome! Definitely going on my tbr. I saw you and Jen/Pop Reader talking about this book the other day, and I have to read a book where SCIENCE IS INTERESTING. AND MOTHERS. Also I never saw Mighty Aphrodite. Should I do this?